Yoga is undoubtedly the only effective way to self-realization and the entitlement of the soul. 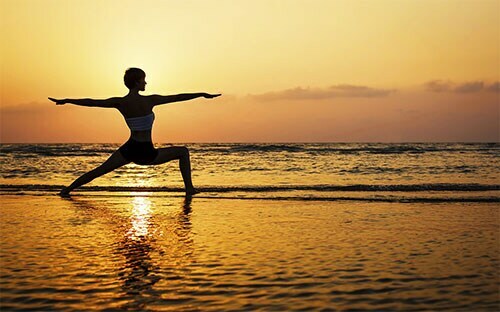 But did you know, there are different types of Yoga, and not just a variety of asanas? We as individuals differ from each other, so does our body type. One form of Yoga may suit you but the other may not. Therefore, it is quite essential to figure out which one syncs well with your body and works best. Here are 6 different types of Yoga styles that suit each and every one of us! Aqua Yoga is performed in warm water. It usually involves deep breathing and long exhalations. This style of Yoga is both fun and effective. It gives strength and improves body balance. Plus if you love water activities, this might just be it for you! Yin Yoga is a style that has a very slow pace. Every pose is held for five minutes or more. It applies stress to the tissues of the body and helps lubricate the joints, increase blood circulation and improve the flexibility of our body. Unlike the other forms of yoga, Yin yoga helps gain inner peace and a quality that improves our social connectivity. Power Yoga is all about fast movements. It isn't as subtle and as halted as regular Yoga. Like an aerobic workout, it mainly focuses on body motion. It is extremely beneficial and helps burn calories; release stress and anxiety; eliminate toxics; improve blood circulation; and increase stamina. That's quite the efficient Yoga! Hot Yoga or better known as Steam Yoga, is performed in hot and humid conditions. It increases body flexibility and helps burn calories in a super fast way. It is done with the help of steam, thereby removing all body toxics! Restorative Yoga is the form that helps achieve a calmer and relaxed mind. It involves minimal amount of movement and is all about relaxing and giving your muscles some rest. It is a completely different style of Yoga when compared to other styles, and involves more meditation, and less rigour. Aerial or Anti-Gravity Yoga is performed in air. This style is done with the help of a hammock like apparatus. This workout needs the involvement of the whole body. It requires stamina and strength to get control over one's body. It is proved to be a stress buster for many and a pain reliever as well, as it cures most of the spine related problems.